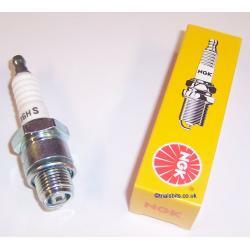 NGK Short Reach Spark Plug. Available in four heat ratings. B6HS is usually the preferred choice for the Triumph Tiger Cub. Please choose your preferred type from the dropdown box.